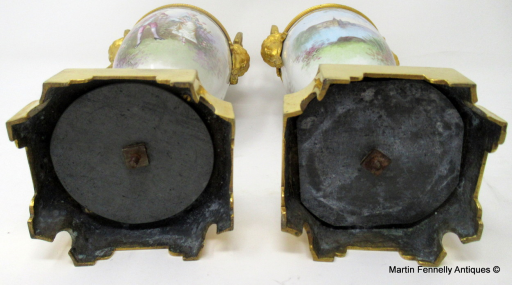 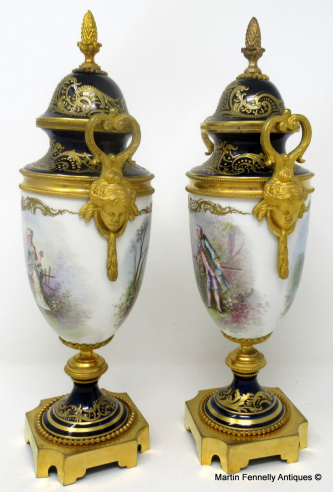 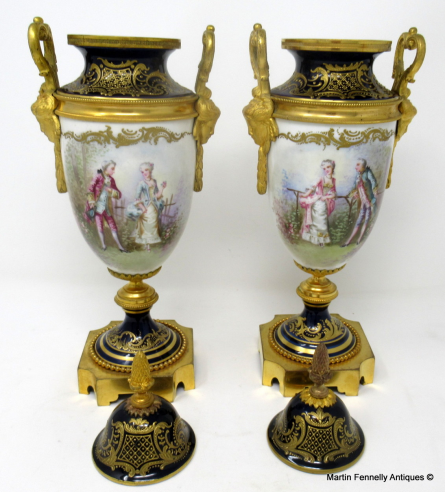 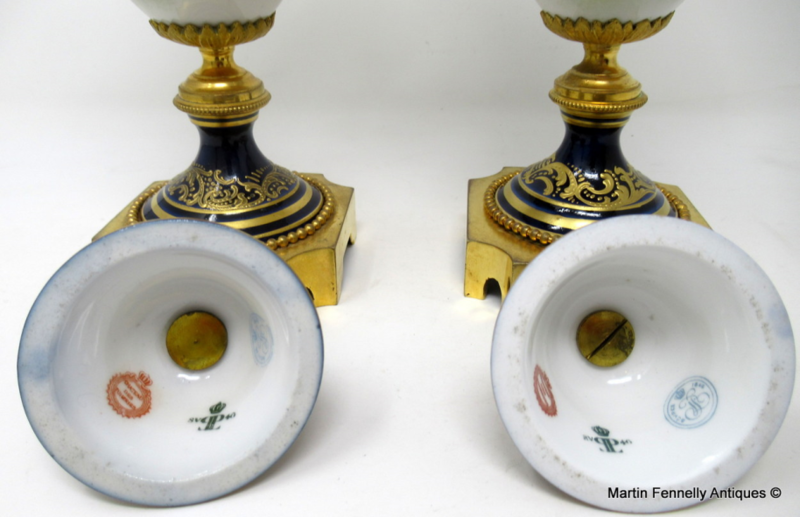 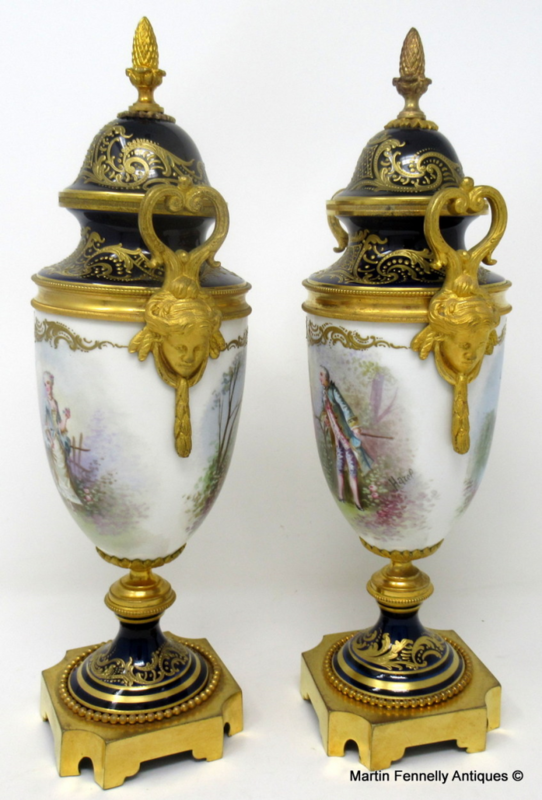 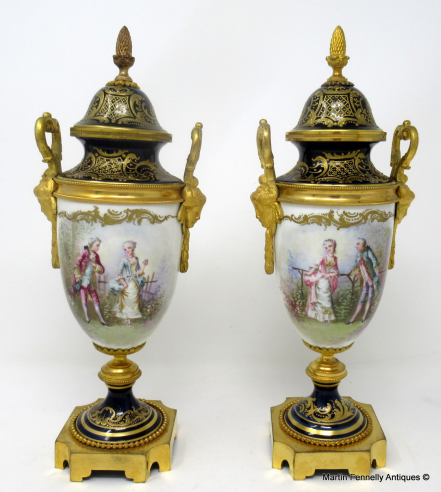 Stunning Pair French Sevres Soft Paste Porcelain and Ormolu Twin Handle Mantle Urns of traditional outline, and of medium proportions, raised on porcelain spreading circular bases with beaded detail, ending on square ormolu supports with canted corners. Last quarter of the Nineteenth Century. 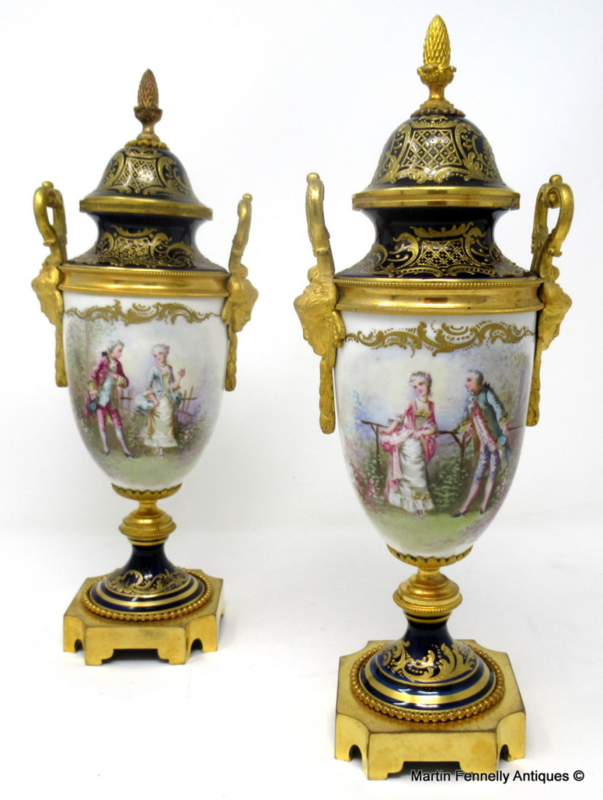 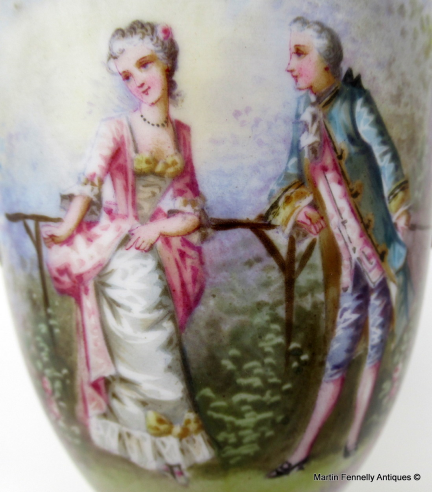 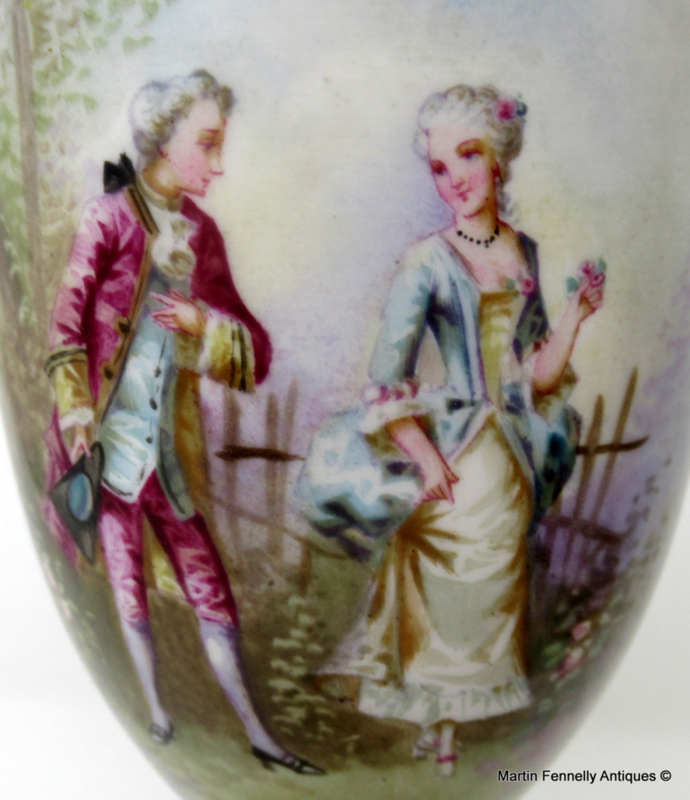 The hand painted impressionistic style central reserves framed by lavish raised gilding, depicting a seated Courting Couple in landscape wearing Eighteenth Century dress, back view with village and lake scenes within gilt detail on a rich ivory ground. 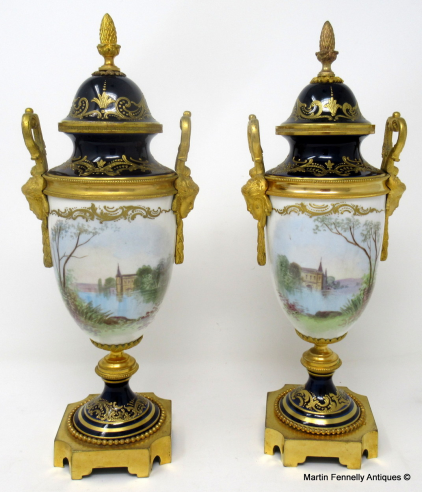 Height: (entire as shown on main image) 12.25" (31cm). 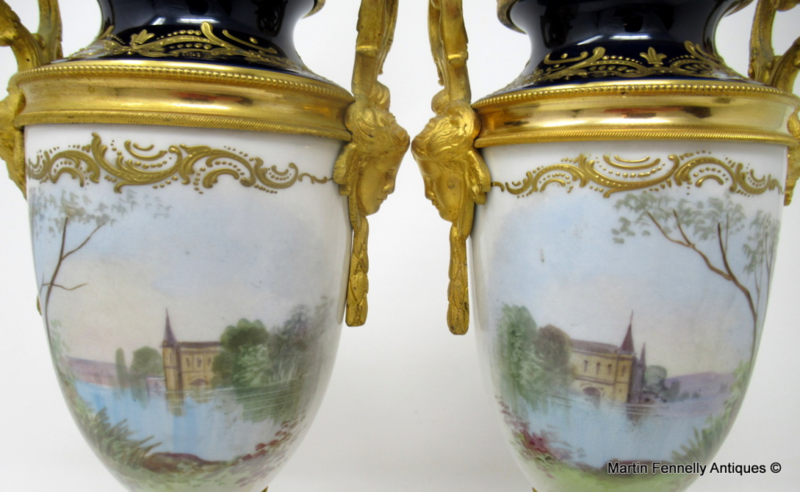 Width: (across arms) 5" (12.5cm). 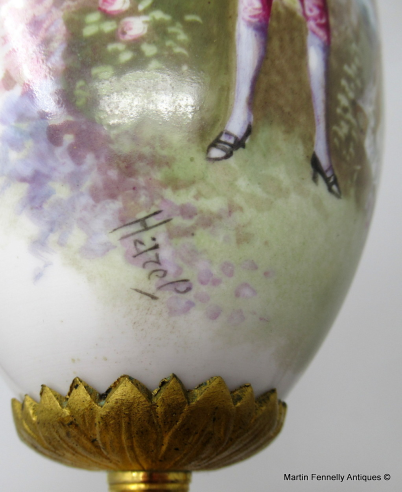 Depth: (at base) 3.25” (8.25cm).